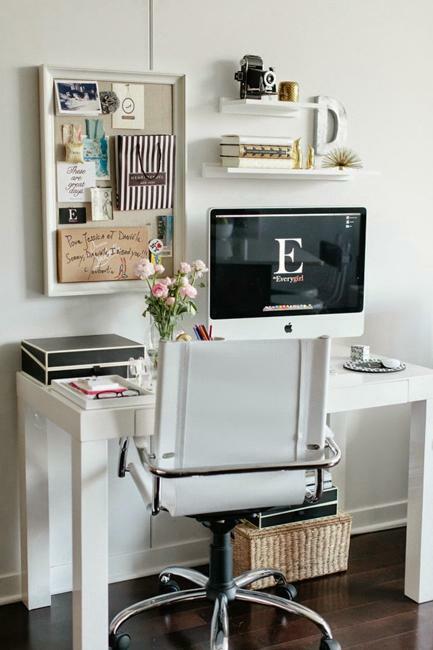 Small home office designs create convenient work stations that are great for communication and socializing. 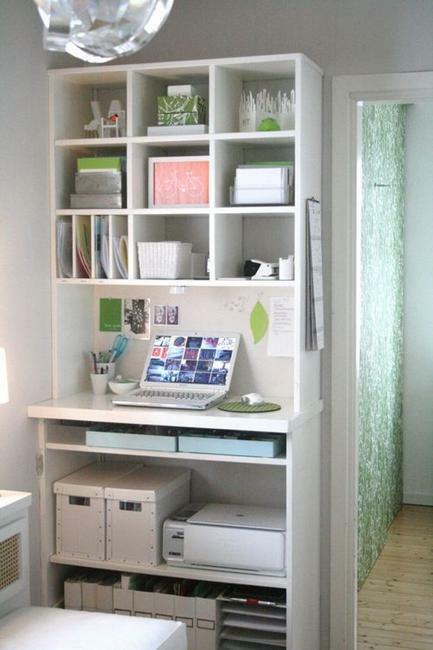 Small spaces need to have efficient storage, but digital storage ideas help decrease spaces for physical storage. 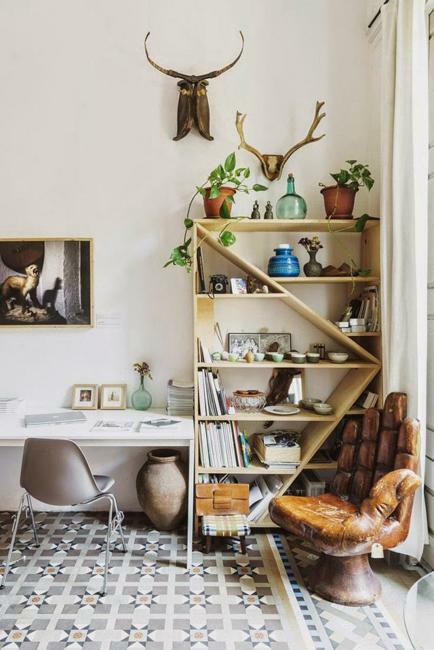 Space saving furniture, small decks and compact tables with wall shelves or built-in shelving units and storage cabinets, and good organization can solve any problems. 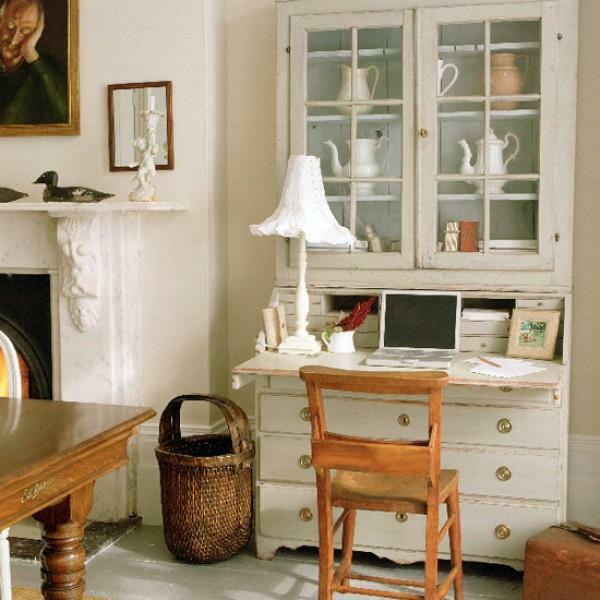 Small spaces look charming and cozy, but also can make people feel very restricted. 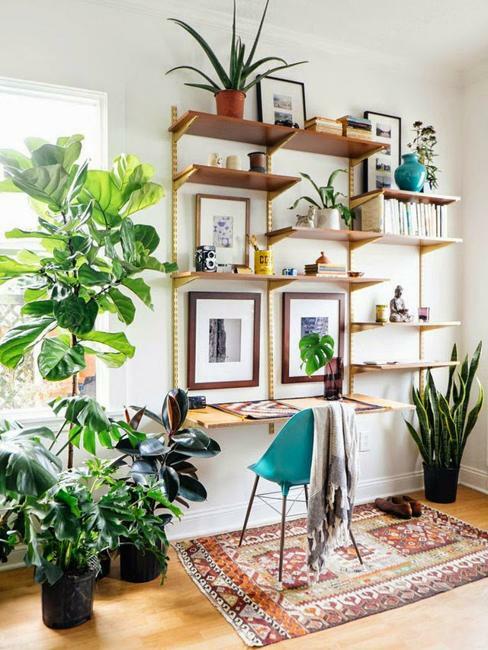 Here are Lushome tips and tricks to create extra spaces in your comfortable and modern small office designs, which include using walls and furniture with storage spaces. 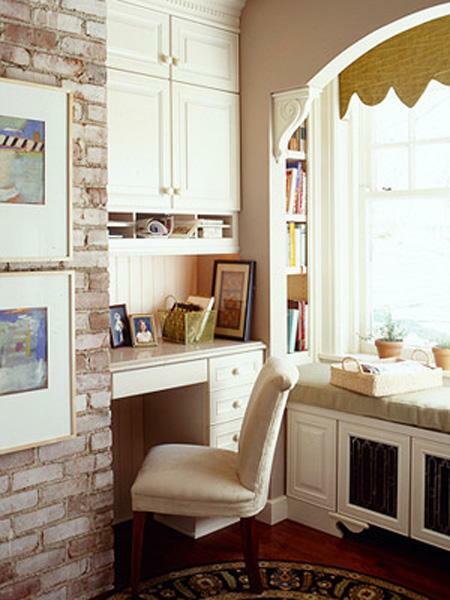 Built-in wall shelves and cabinets are great ideas for small home office designs. 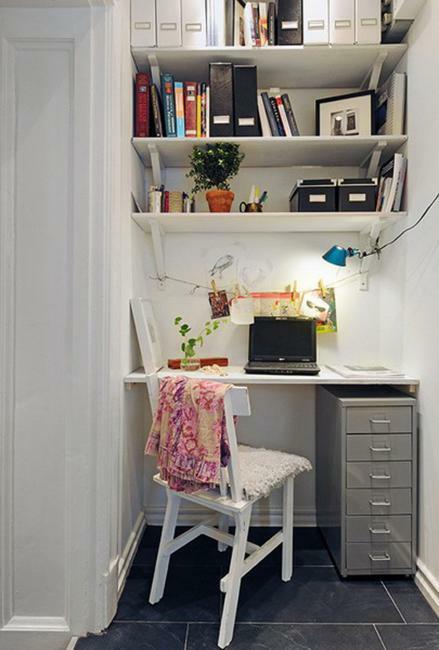 Open wall shelves and desks with storage drawers work well for small spaces also. 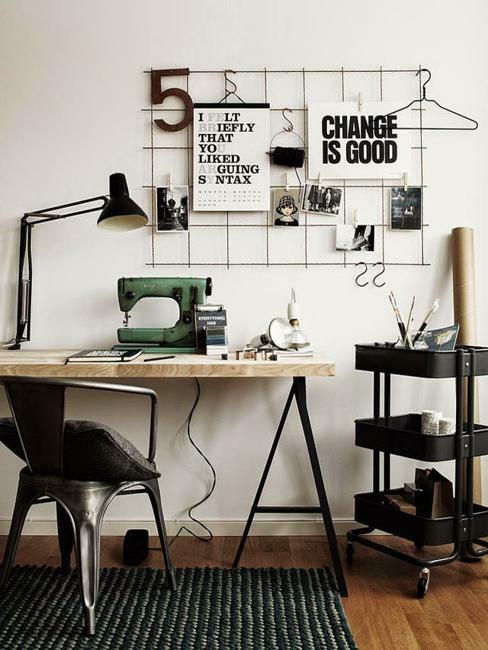 The upper wall design with shelves is efficient and space saving. 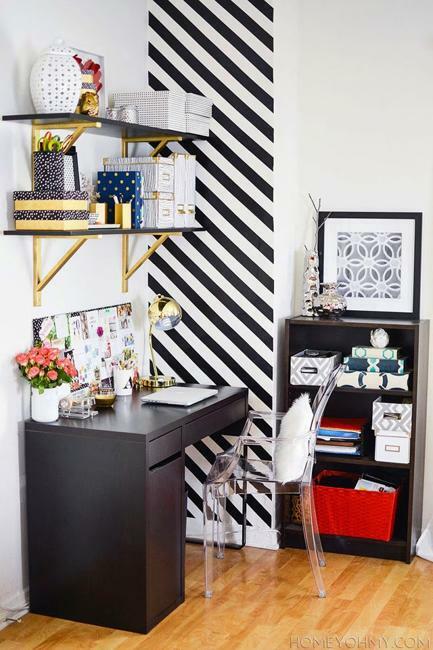 Perfect for home office decorating and providing additional storage spaces, the wall shelves offer ideal storage solutions without making small spaces look even smaller. 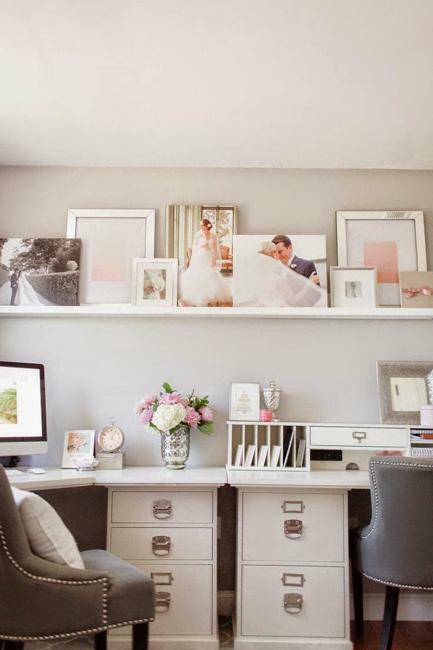 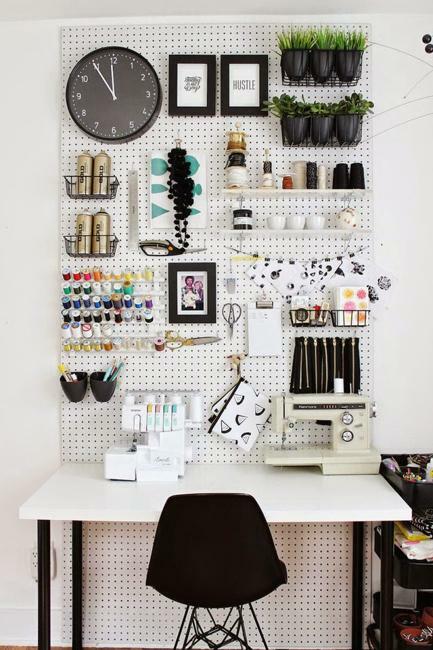 Wall shelves and built-in cabinets above office desks or writing tables create extra space for storage and add interest to home office designs and decorating. 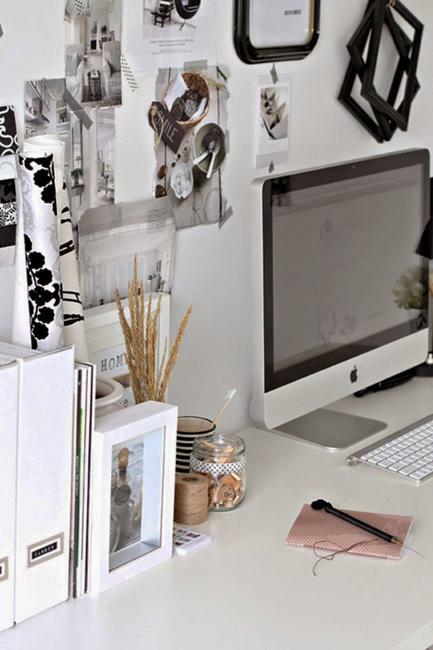 Digitizing data allow to have less physical storage spaces while improving the appeal and functionality of small home office designs. 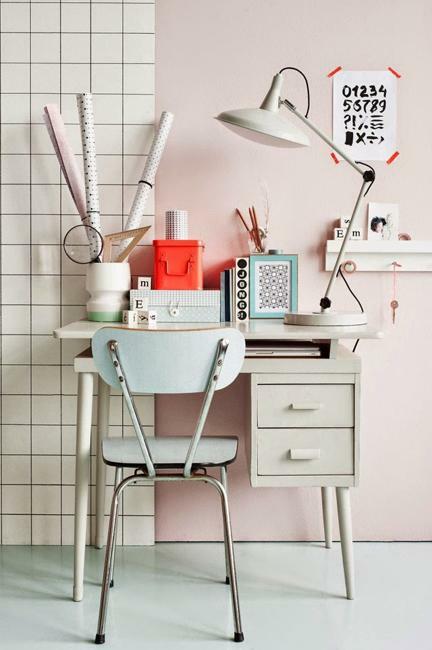 Compact computer desks and small writing tables with drawers are wonderful storage ideas that help declutter the surfaces and create neat and well organized home office designs. 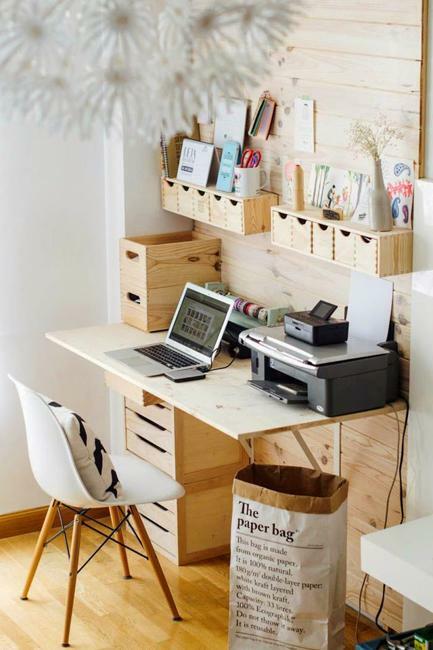 Wall shelves, built-in shelving and cabinets, furniture for storage in drawers allow to maximize small home office designs and use efficiently valuable spaces. 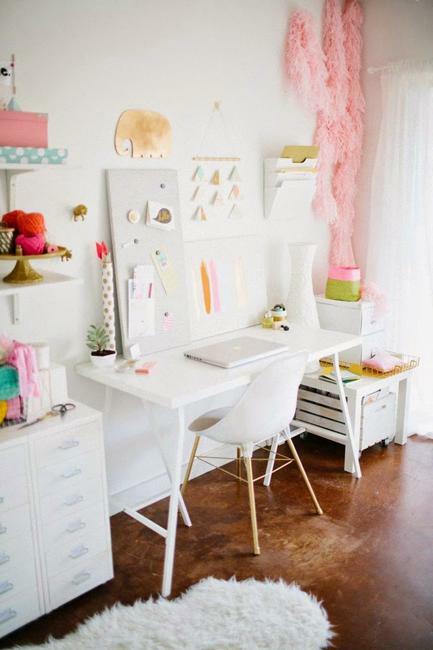 Roll-up and sliding elements of office furniture are smart space saving ideas also. 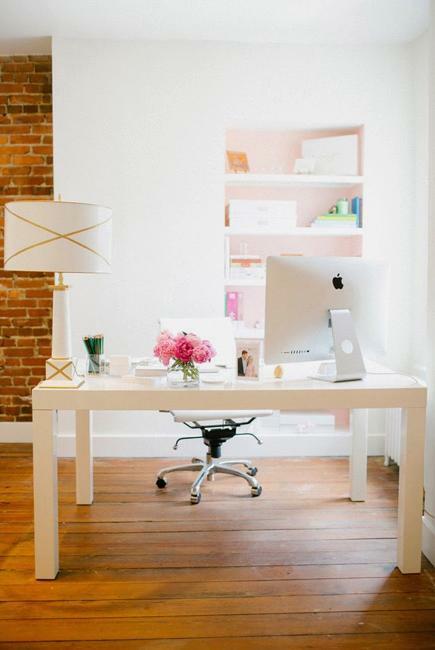 Sliding doors are functional and convenient, and allow to use office furniture in very small spaces when the regular swing to open doors require too much room. 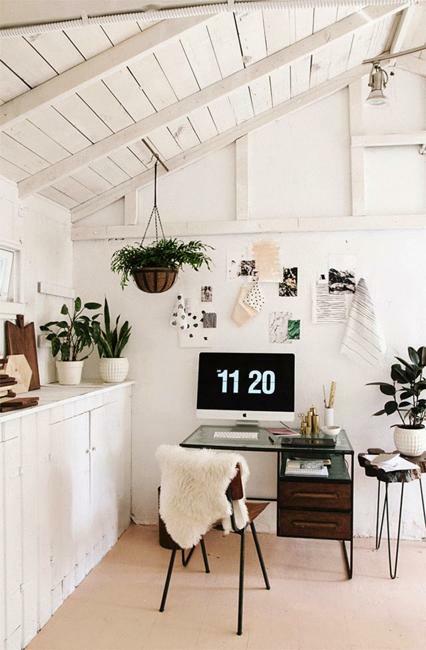 Light neutral colors, glossy surfaces, mirrors and white decorating ideas are great tools for creating more spacious, airy and bright rooms. 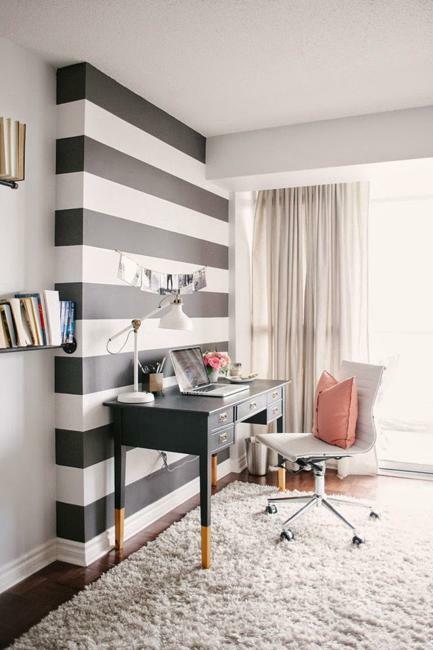 Light interior colors create the illusion of large space and make small rooms feel bright and comfortable.